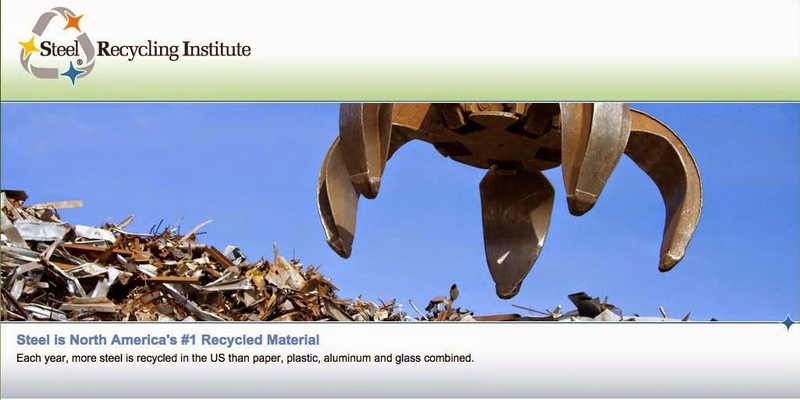 The Steel Recycling Institute wants to ensure that steel can recycling continues to grow. One way to increase awareness is to ensure that citizens and community leaders alike recognize what steel cans are and how they should be prepared for recycling. The following examples include only small steel products - common household items - that need no or little preparation for recycling - from the traditional can to steel waste baskets. Communities may elect to include these items in their recycling programs: the only preparation needed is for these items to be empty and rinsed. The most recognizable steel cans are found in the grocery or convenience stores. Steel food cans are also called “tin” cans, and steel beverage cans are sometimes referred to as “bimetal” cans. While tins are designed to be reused as decorative containers, they should be recycled when their usefulness is complete. 5 Gallon Cans, such as those that may contain popcorn, snacks or other food items. Candy, cake and cookie tins that are especially popular around the holidays. And other tins, such as those containing crackers, spirits, greeting cards, makeup and watercolors. Adhesive strips, spices, throat lozenges, syrup, shoe polish, car and floor was are among the many other products found in steel cans. These cans, when empty, should also be recycled. A quick look around the kitchen shows that there are lots of steel products used as cooking tools. Funnels, cookie cutters, cheese graters, baking sheets and pans, sifters, and many other daily items. They can easily be recycled - most will fit in a curbside bin, and drop-off and multimaterial buyback centers should accommodate these items as well. No skillets, please! Whether in the home or office, steel items such as bookends, in/out baskets and trash cans are made of steel. Although they have a long life, they will eventually exceed their usefulness. They should be included in community and commercial recycling programs.